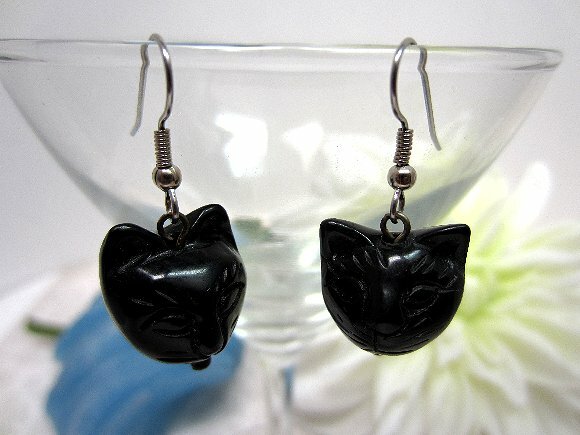 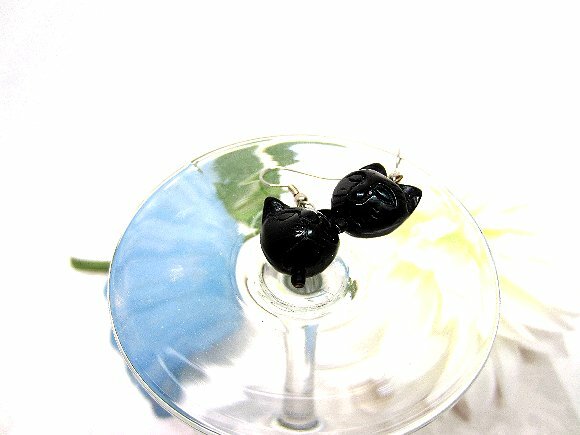 These subtle cat face earrings are perfect for the lady who loves cats. The details of the cats' faces are incised into beautifully carved blackstone. The kitty ears make the earrings immediately recognizable for what they are. 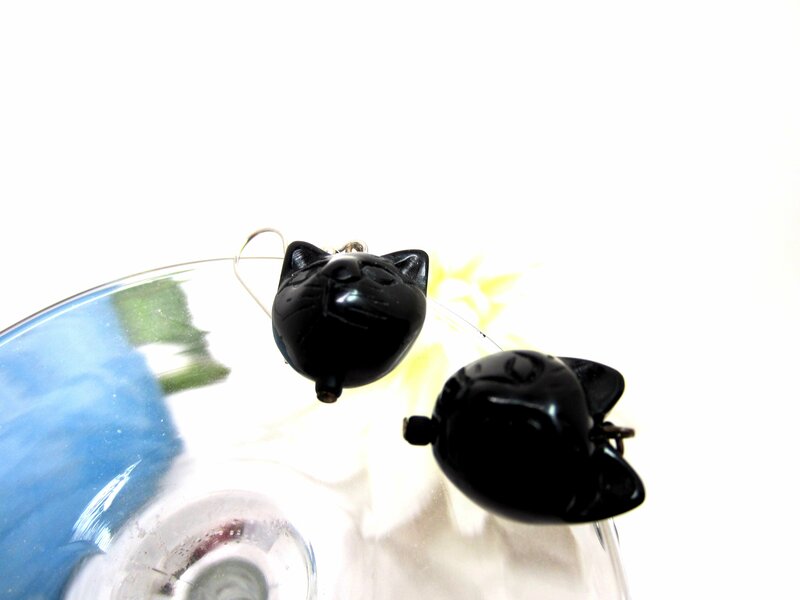 The three-dimensional cat faces measure about 5/8" in all directions and end about 1-1/2" from the tops of their surgical steel French hooks. 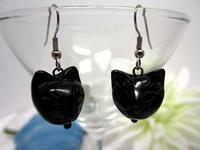 For whimsical earrings that are affordable and fun to wear, look to SPARKLE PLENTY.